Description: Book has significant tears to front cover at spine. Cover is nearly loose from book. Smaller closed tear at bottom front edge. Age toning. Previous owner has stapled a long strip of cardboard to bottom edge of book inside front cover (as a pocket? 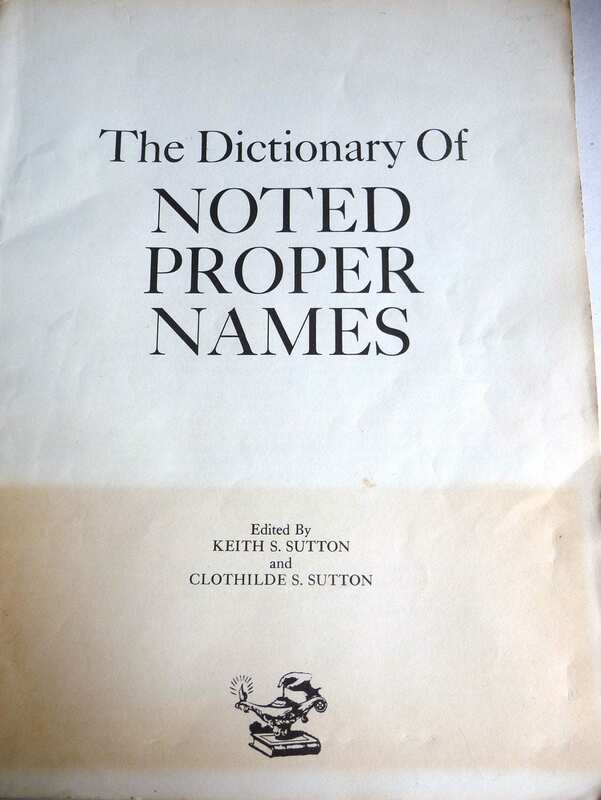 ), which is causing some acidification to the title page. A few names have yellow highlighting. No date given. 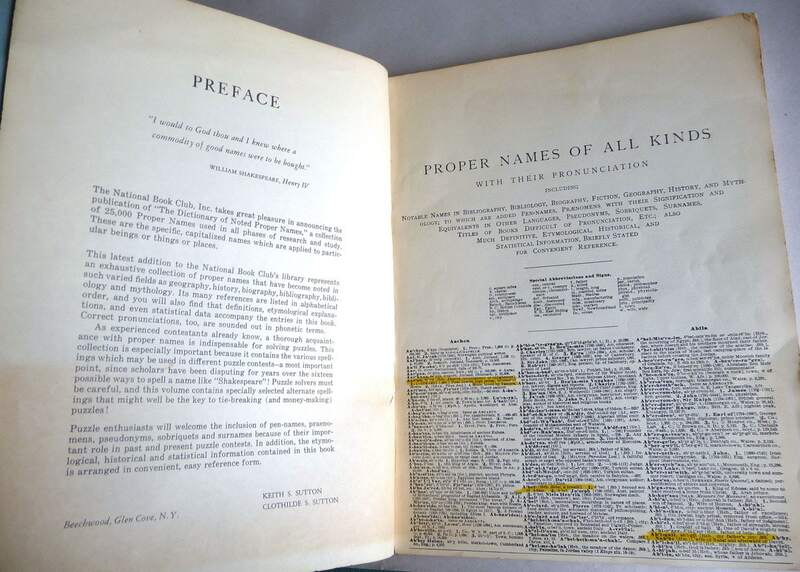 Rare publication. 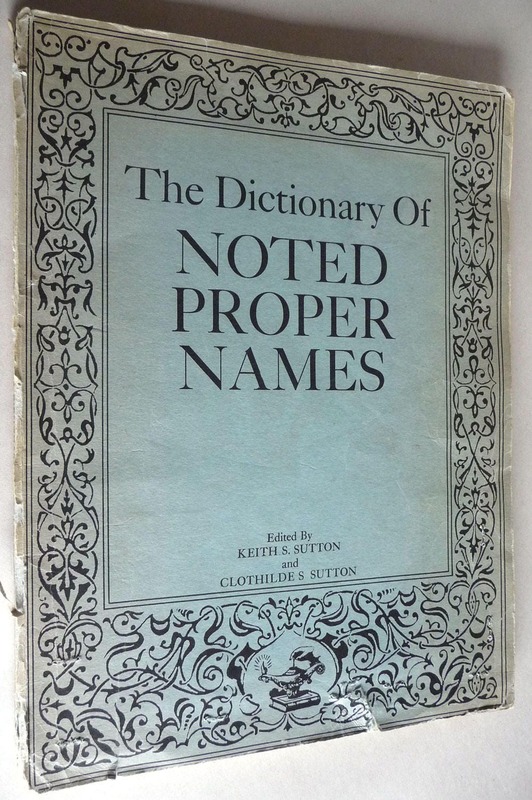 "Proper names of all kinds with their pronunciation including notable names in bibliography, biography, fiction, geography, history, and mythology to which are added pen-names, praenomens with their signification and equivalents in other languages, pseudonyms, sobriquets, surnames, titles of books difficult of pronunciation, etc. ; also much definitive, etymological, historical, and statistical information, briefly stated for convenient reference." Year: Ca. late 1950's/early 1960's.